As a NYSLRS member, if you have contributions on file with us, you may be able to take out a loan against them. However, you need to be cautious about this decision. If you retire with an outstanding loan balance, you cannot pay off your loan after you retire. In order to recover the funds that weren’t paid back before you retired, your pension benefit will be permanently reduced. 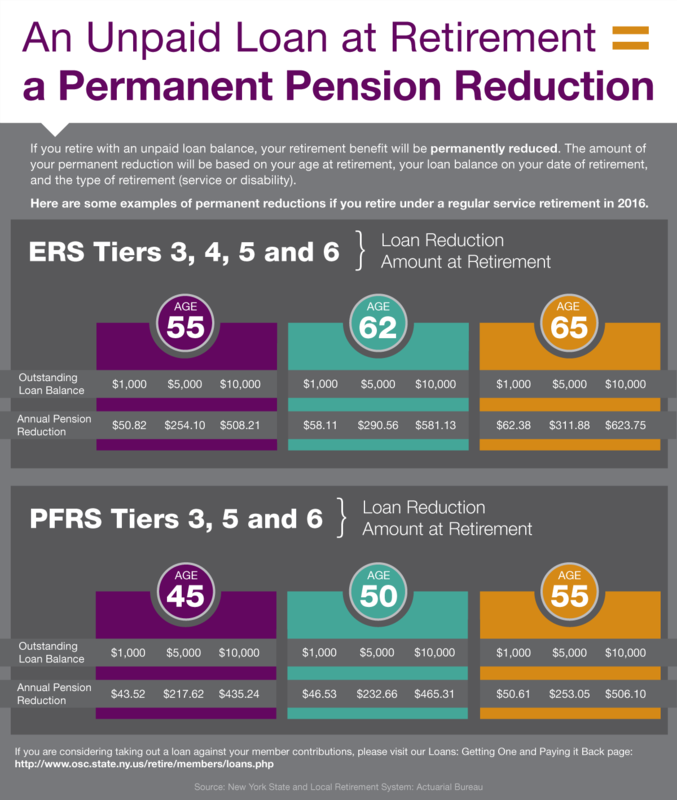 To avoid a permanent reduction, you can increase the amount of your loan payments so your loan is paid in full before you retire. Though loans are repaid through regular payroll deductions, you can make additional payments or pay your loan in full at any time. There are no prepayment penalties. You can also pay off your loan in a lump sum when you retire (before your effective date of retirement). If you wish to pay off your loan, we will tell you what the payoff will be at that time. If you have any questions about loans or reductions, please visit our Loans page. Content last revised February 24, 2016. This entry was posted in General News, Members and tagged benefit reductions, benefits, ERS, Information is the Key, know your benefits, loan, loan balance, loan payment, loan reduction, Loans, members, New York State & Local Retirement System, NYSLRS, outstanding loan balance, permanent pension reduction, PFRS, Preparing to Retire, retirement, retirement plan, retirement planning, unpaid loan at retirement on February 24, 2016 by NYSLRS. Among the most important benefits a NYSLRS membership provides are death benefits. When you’re covered by a death benefit, your beneficiary may receive a payment on your behalf at your death. You’re eligible for the ordinary death benefit when you have one year of service credit. Your beneficiary would receive this benefit if you died while working for a public employer. 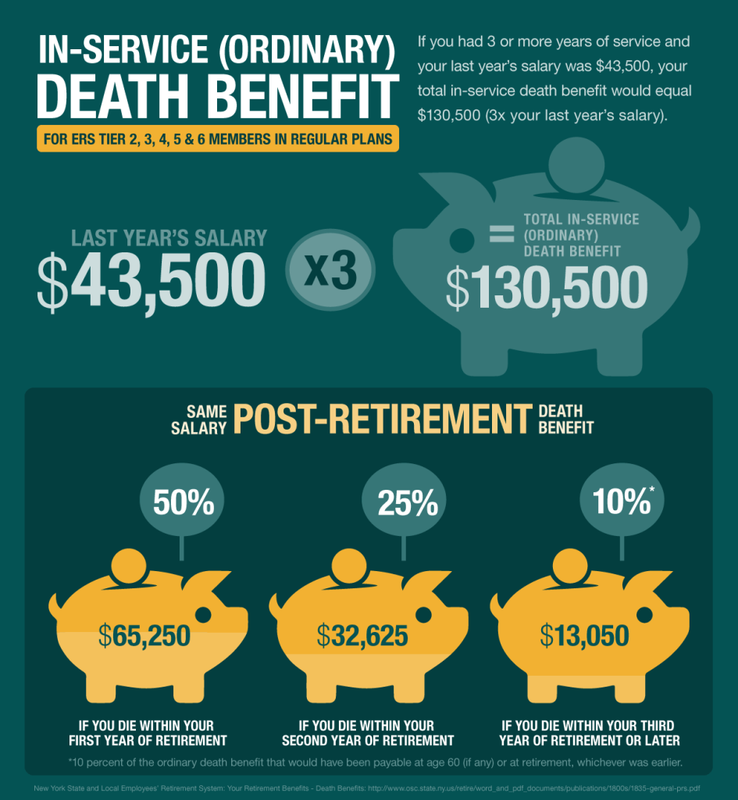 After one year of service, the ordinary death benefit is equal to your last year’s salary. After two years of service, the benefit equals two times your last year’s salary. 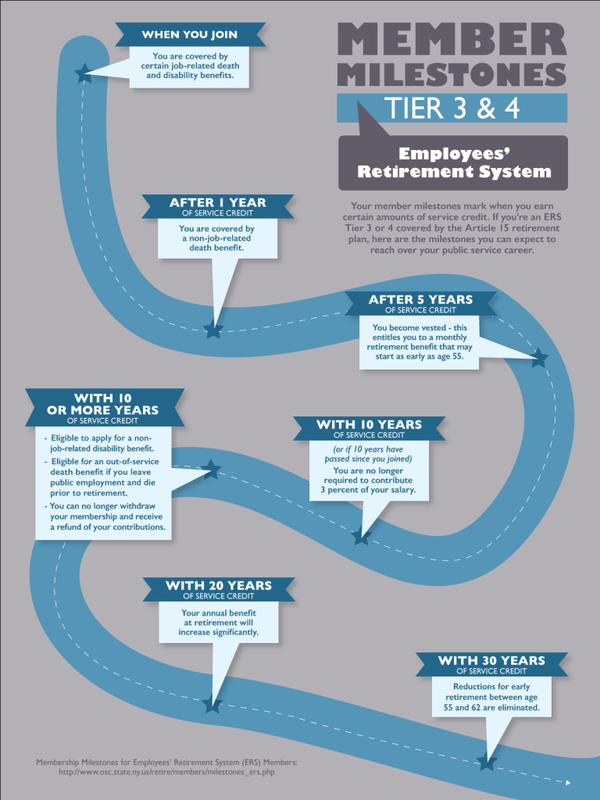 After three or more years of service, the benefit equals three times your last year’s salary. Your beneficiary may also be eligible for a post-retirement death benefit if you retire directly from your employer’s payroll or within one year of leaving covered employment. During your first year of retirement, the post-retirement death benefit is 50 percent of your ordinary death benefit payable at retirement. During your second year of retirement, the benefit is 25 percent of your ordinary death benefit. During your third year and thereafter, the benefit is 10 percent of the ordinary death benefit that would have been payable at age 60 (if any) or at retirement, whichever was earlier. There may be other death benefits available in your retirement plan. Please read the Death Benefit section in your plan publication for more information. If you have any questions about death benefits, please email us using our secure email form. Content last revised November 8, 2017. This entry was posted in General News, Members, NYSLRS Retirees and tagged beneficiary, benefits, Death Benefits, ERS, in-service death benefit, Information is the Key, know your benefits, members, New Members, New York State & Local Retirement System, NYSLRS, NYSLRS Retirees, ordinary death benefit, post-retirement death benefits, retirement, retirement plan on February 3, 2016 by NYSLRS.